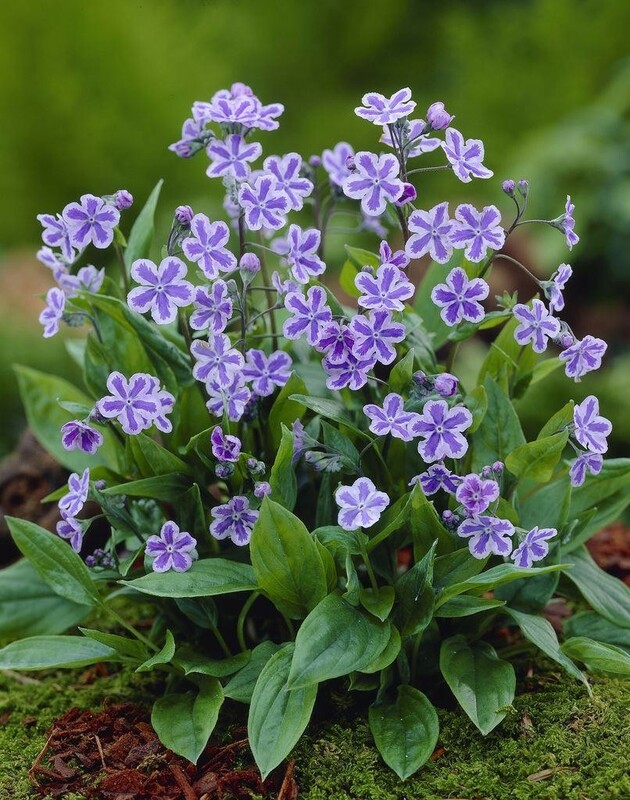 Sprays of gentian-blue, star-shaped flowers with a pale lilac edge in March and April and heart-shaped, mid-green leaves. 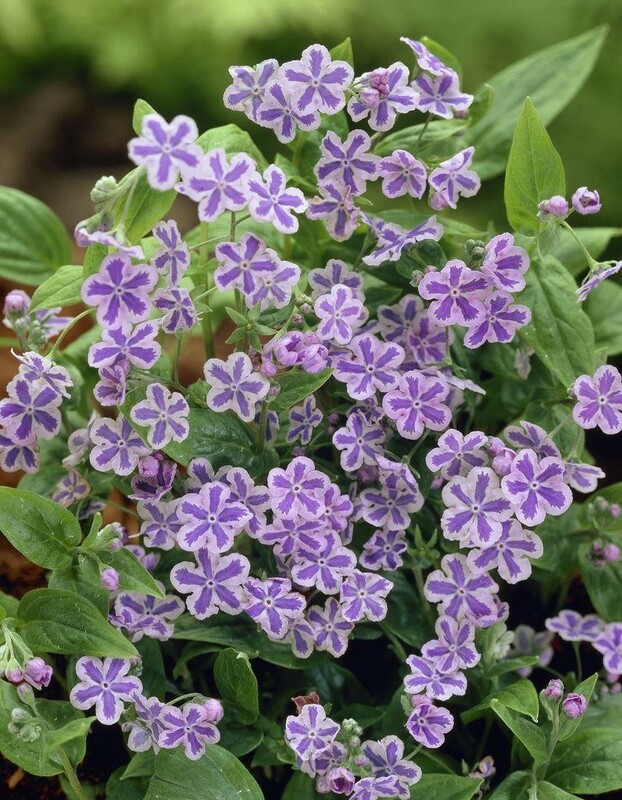 This fast-growing, evergreen perennial is perfect for carpeting areas in between deciduous shrubs and trees. An excellent companion for ferns and other shade-loving woodland plants, it prefers moist, moderately fertile, humus-rich soil. Supplied in approx 2 litre containers.